The complex of 5-storey buildings that house a total of 178 apartments has been handed over to the customers complete with sanitary fixtures. Designed with a view to customers who look for comfortable living conditions, as well as attractive surroundings, the estate was constructed in the neighbourhood of splendid green areas, by the Bagry lake. The buildings are complete with lifts, which ensure that the elderly and the physically challenged are comfortable in the upper-storey apartments. In order to enlarge the free space around the buildings, but at the same time ensure the comfort of car owners, we included underground garages in the complex. We also complete smaller development investments, such as multi-family houses. 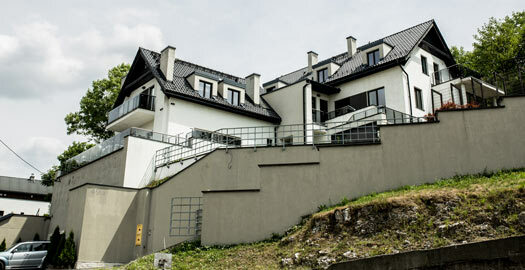 We have constructed a cosy two-staircase house with just 22 apartments. The building was designed with families with children in mind. The area around the investment is fenced to keep the children, who play around their home, always safe. An underground garage is also at the inhabitants’ disposal. 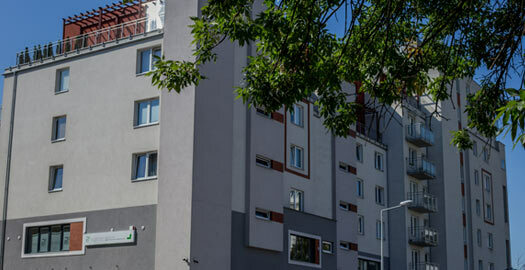 The complex at Podedworze Street was designed with a view to people who value cosy, intimate housing, as well as the conveniences and attractions of city life. 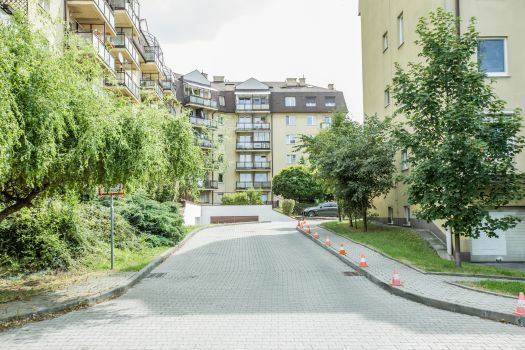 The fenced premises include 42 well-equipped apartments with an underground garage. The closest neighbourhood includes shops, playgrounds, and a park where the inhabitants may rest or actively spend their time with their families. The fenced complex consists of six multi-family segments, which house a total of 150 apartments. The investment also included two garages: a regular and an underground one. 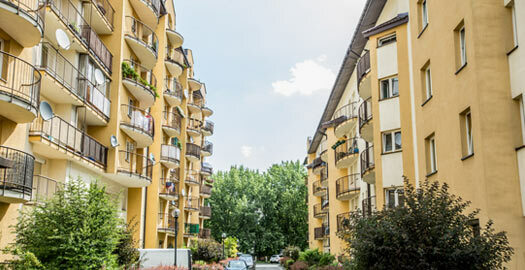 Due to the perfect location, the inhabitants may use the nearby water park, multiplex, shops, playgrounds, and a park. Schools and kindergartens are also close by, and the district itself has excellent public transport links to the rest of the city. 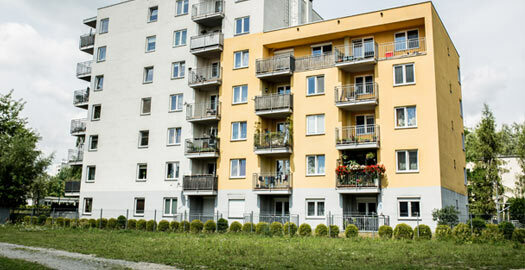 The two modern buildings that house 195 apartments with balconies have been designed with a view to people who expect a broad choice of apartments. The apartments on the ground floor have their own gardens, while those on the upper floors span two storeys with terraces. Underground garages, lifts, and video surveillance are also included. A bus stop, shops, playgrounds, schools, kindergartens, as well as a clinic and a park can be found in the closest vicinity. We have also constructed two single-family mansions with garages and independent entrances. The investment is located in a district with green areas of absolutely exceptional value in terms of both the environment and the landscape. The location not only ensures peace and quiet at a safe distance from the hustle and bustle of the city, but it also allows you to spend time actively in the closest neighbourhood.